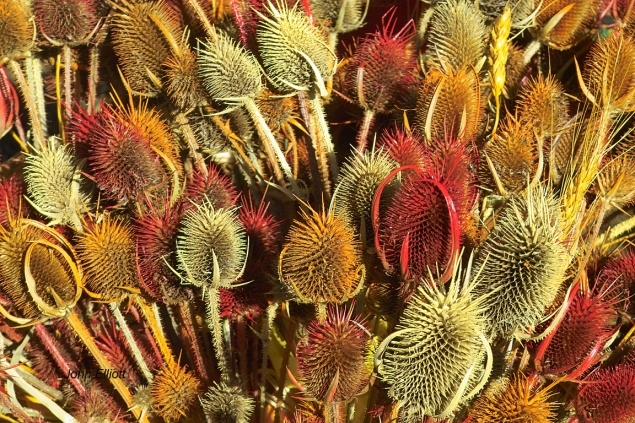 Teasles are colored thistles. They were on display by a crafter at a Mabee Farm event. I "swooped" in with teh Sigma SD9, snapped one or two and walked away--no involved set up on tripod. The SD9 takes extraordinarily sharp photos. Some time later I was approached by Sigma requesting permission to use the photo on their website to display the capability of the SD9. To my knowledge the photo was never displayed.